License: IMPORTANT: This is a commercial product made by AQB Soft. It cannot be modified see more for other than personal usage. The "personal usage" means the product can be installed and set up for ONE domain name ONLY. To be able to use this product for another domain names you have to order another copy of this product (license). This product cannot be redistributed for free or a fee without written permission from AQB Soft. This notice may not be removed from the source code. We have big experience in upgrades from any version of Dolphin (6.x.x, 7.x.x) to any version of Dolphin (6.x.x, 7.x.x) even if Dolphin script heavily modified and also transfer content to the Dolphin script from any other site (if it has appropriate format data). All changes and transfers are performed manually and every line of the code is checked. If it is not possible to transfer we will provide you with the list of changes and files which cannot be transferred and the reasons why not. 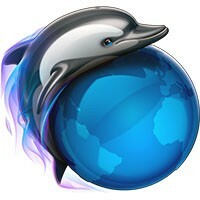 We can transfer content from any script to the Dolphin (of course if it has compatible format). For example, if members passwords are encrypted, we need to find function which encrypts passwords and if passwords cannot be convert to Dolphin format we'll try to change Dolphin's encrypt function. We create own transfer and convert scripts for each version. Price for the upgrade or transfer depends on complexity. It means if you buy this service and have many changes on your site or you want to transfer data to the Dolphin, price for the service will consist of exploration and main work ($15 + main work). So, exploration means we will provide you with information about the data that can be transferred or the reason why it cannot be transferred. If you need only common upgrade we will deduct $15 from the final upgrade price. I had already invested a good amount in having integrations with other platforms done, as well as customizations of several modules, so I needed someone I could trust to do the upgrades and still have everything work as it should. Anton was hired to do the upgrade from 7.2.1 to 7.3.0 and I'm very pleased with the quality of his work that was done for a reasonable amount. Good communication and promptness of accomplishing this task made this job that much better. Thanks, Anton! You are welcome and thank you for the review!!! My network had custom database edits that conflicted with upgrades from 7.1 to the 7.3 version of Dolphin. My host, Zarconia, recommend AntonLV for the work that needed to be done to fix the conflicts. From previous help I received from Anton (which started back in 2009), I knew I could count on his professionalism and work. He quickly diagnosed and solved the issues for a fair price. Thank you so much!! You are welcome! Thank you for the review, we greatly appreciate your opinion! Anton has just finished up on a fresh install of my site from 7.1.6 to 7.3 and I can't speak highly enough about his five star professional service, knowledge and support. I would "highly" recommend his services to anyone without a second thought. Thank you Anton for a job well done. You are welcome and thank you for the review. We greatly appreciate your opinion!